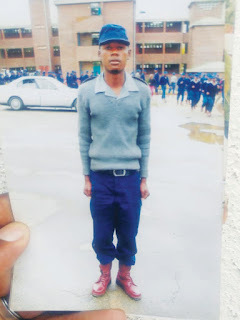 Constable Alexio Maune, a Bulawayo-based police officer who was stoned to death by violent protesters during the shutdown last week, was buried in his rural home in Matsikidze under Chief Shumba. Maune, who was 32 years of age and was based at Entumbane Police Station, died on admission at United Bulawayo Hospitals (UBH) after he was stoned by angry protesters. The protesters targeted police stations burning cars and Maune became the only reported fatality from the security sector. Standing for the Minister of State Masvingo Provincial Affairs, war veterans provincial chairperson, Tendeukai Chinooneka condemned the violence that killed Maune saying a precious life had been needlessly lost. The protests engulfed many cities though the worst violence was reported in Harare and Bulawayo, with Masvingo recording very few and isolated disturbances. Nationally, many shops were looted and hundreds of people suspected of looting have since been arrested, with human rights groups accusing the army and police of using excessive force and torturing suspects.